Integrated visual camera and infrared sensor resolution of 160×120 pixels. 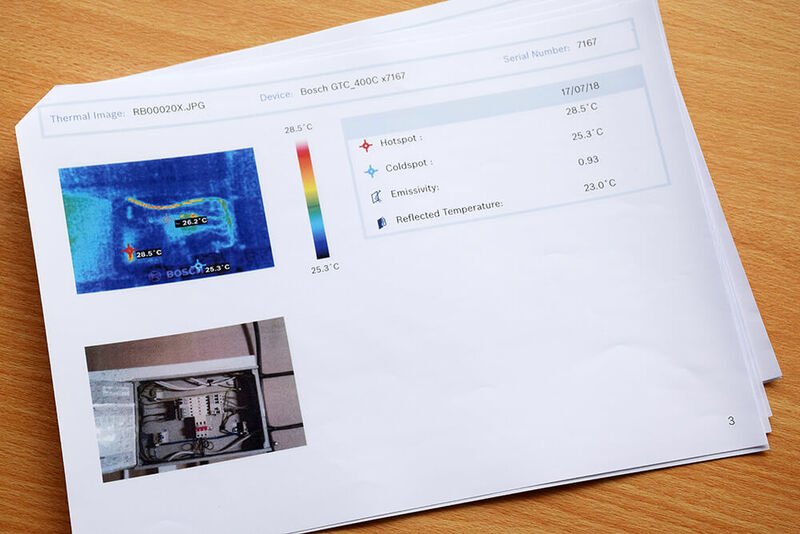 Quickly visualise and analyse differences in temperature, and document the results easily. 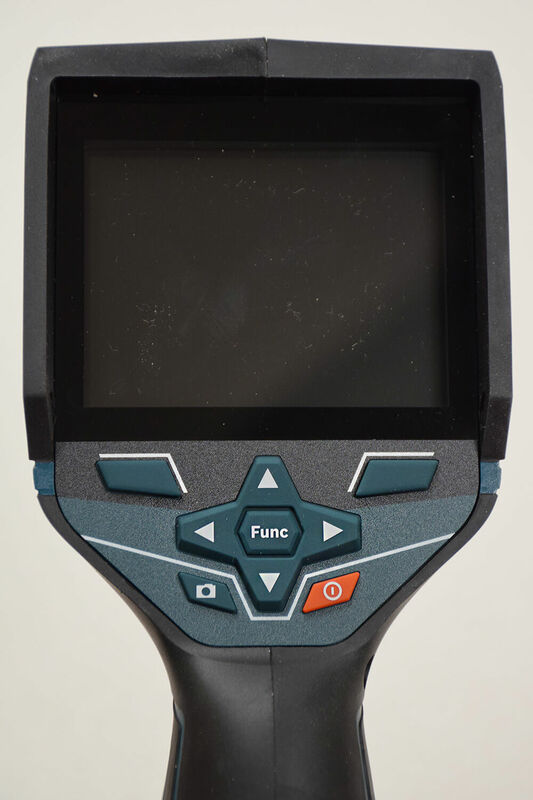 5” colour display for thermal imaging. 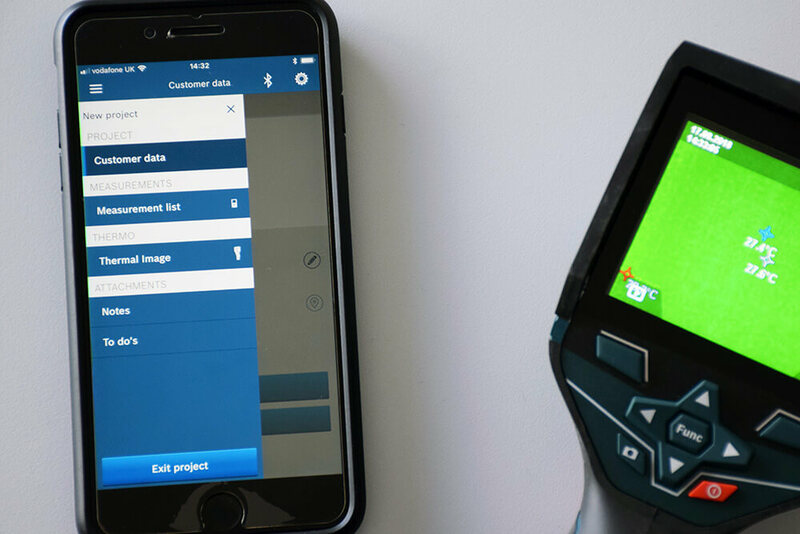 Micro USB port for data transfer and integrated WiFi hotspot for transferring reports via the Bosch Measuring Master App. Robust design, IP 53 rated with a dual power source. 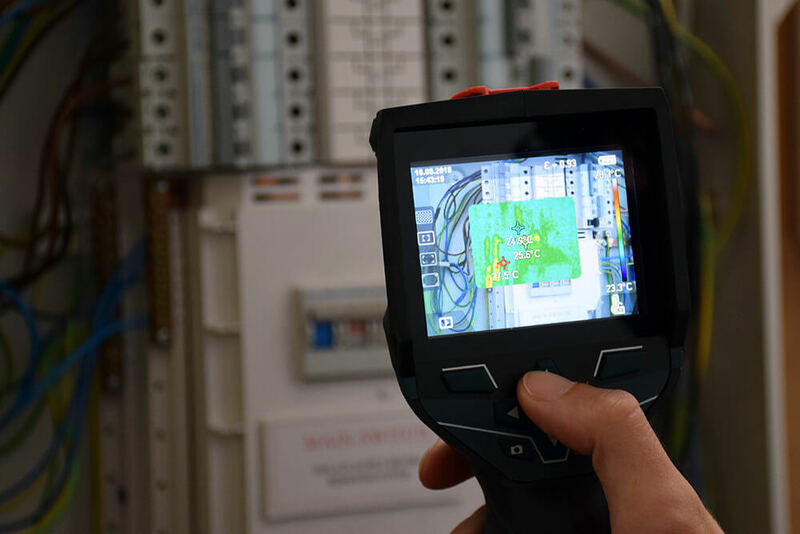 Since being named a #builtwithBosch professional tester more than two months ago, our trainers have been trialling the new Bosch GTC 400C Thermal Camera, with our customers on hand to also put it to use during their training. 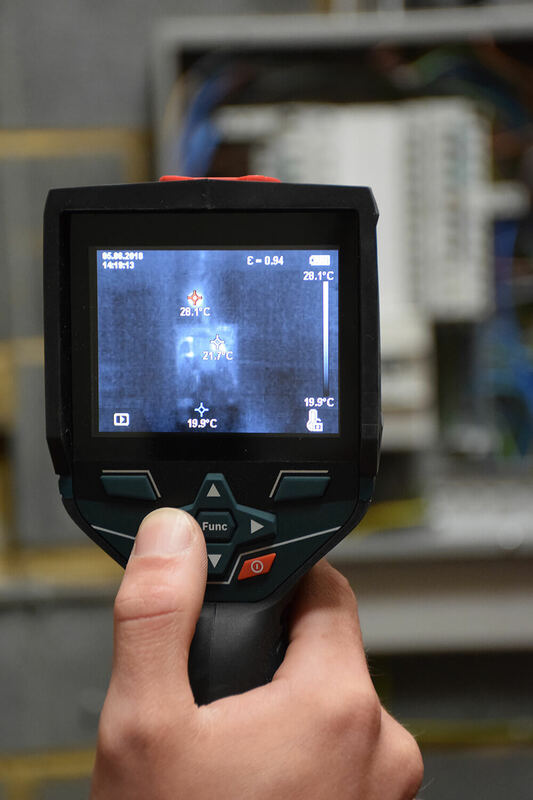 Despite BS7671 not recognising thermographic surveying as a test method, thermal cameras are still incredibly useful for identifying potential hot spots in circuits and in installations, without the hassle of turning equipment off and checking it with a torque screwdriver. The robust, durable build of the camera means it’s safe for use on site, where the risk of being dropped is great. “It’s got a chunky case and a set back screen so it won’t get damaged if you lay it down or drop it, and I love the lens cap cover, which protects the lens and tells you to take it off” our trainer says. It features both a camera and an infrared sensor, with the camera good enough quality to allow you to get a clear and precise image. 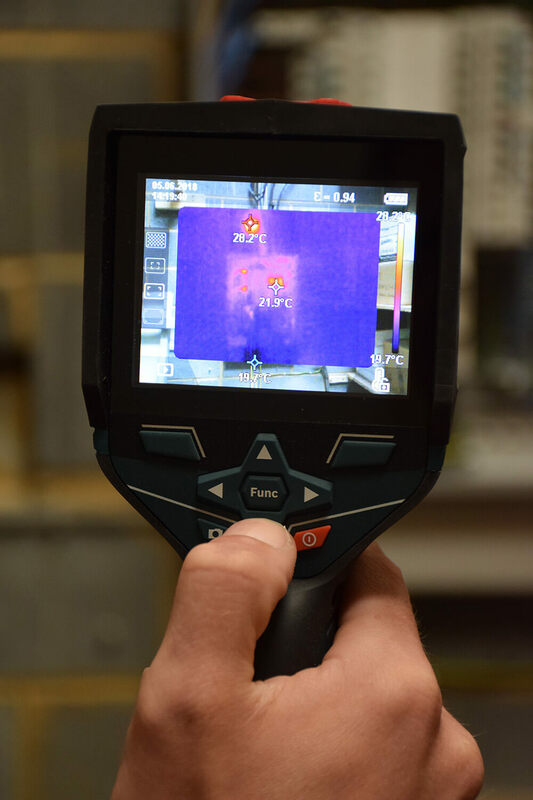 The Thermal Camera features a wide variety of viewing modes, to ensure you find the right one that works for your work. 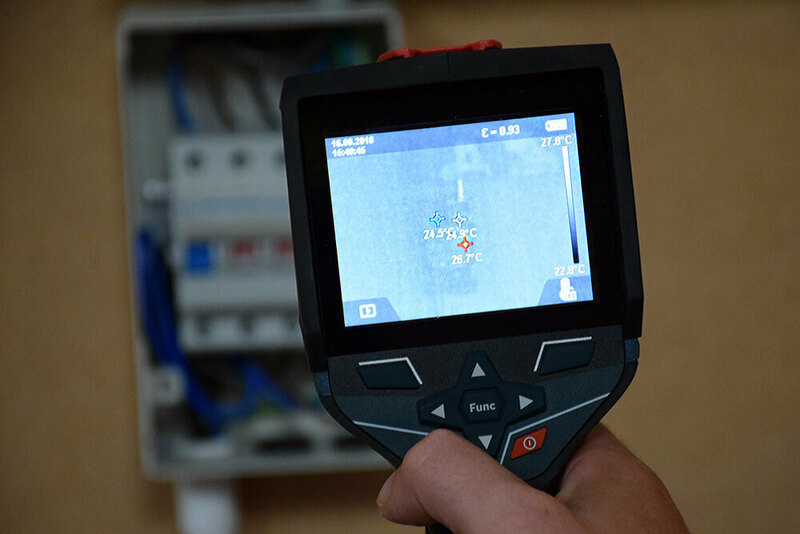 A major benefit of the Bosch GTC 400C Thermal Camera is that the photos taken can be transferred to a computer via the data cable or via WiFi and the Bosch Master Measuring App. 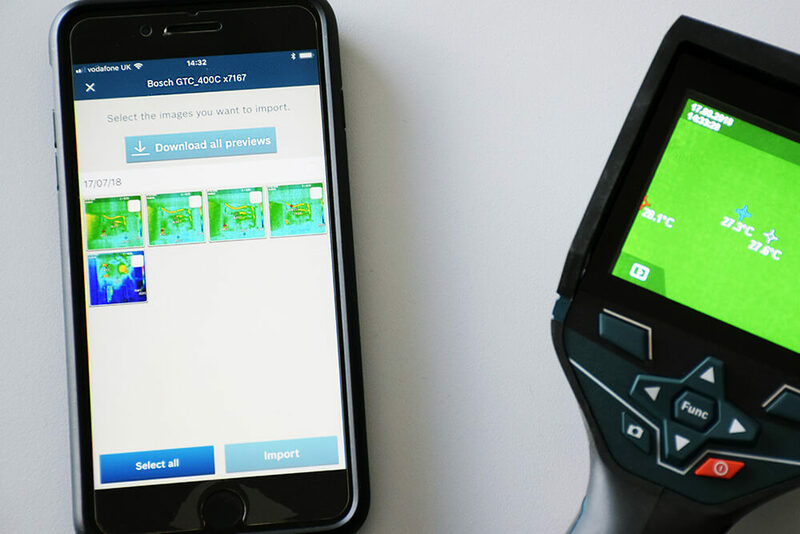 By simply transferring the images over the app, you can select which photos you want and create a report almost instantly to send to the customer. 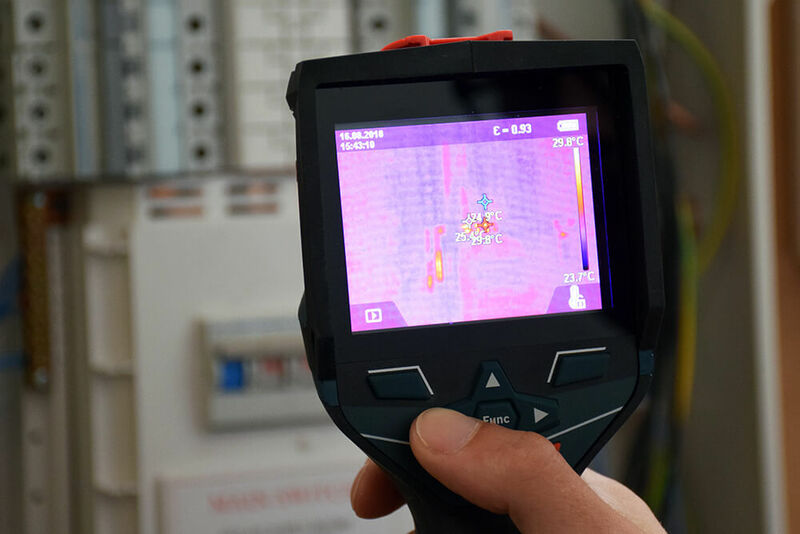 During the entire review process, our trainers have been using the Thermal Camera to identify something that is hotter than everything else around it. 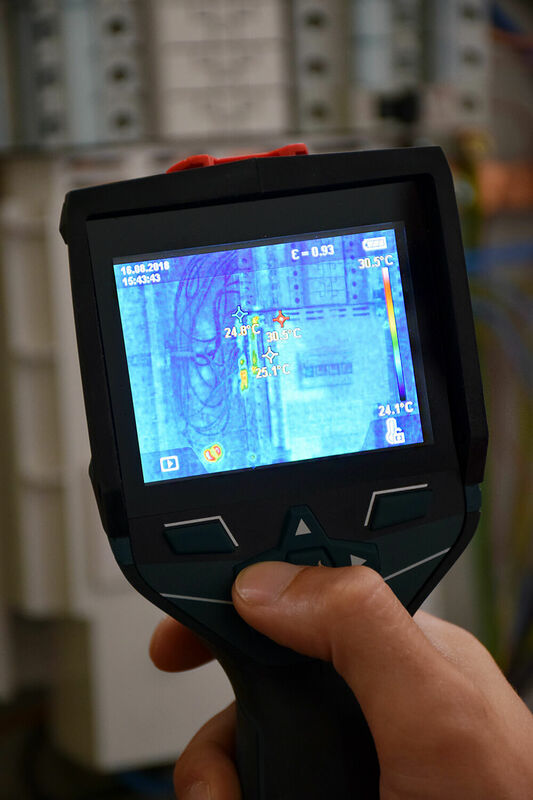 With the Bosch Thermal Camera, you can identify that lose connection without having to turn anything off, and it would also point you in the right direction of what needs tightening. 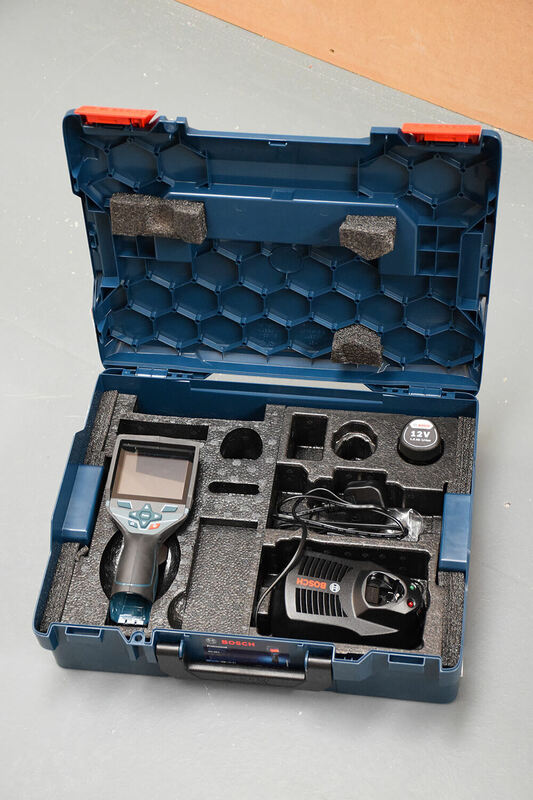 The major pros with the Bosch GTC 400C Thermal Camera is its price, more budget friendly than other high end handheld cameras, ease of use and the robust build that means it’s great for site and less likely to get as damaged as a plug in thermal camera for your phone. 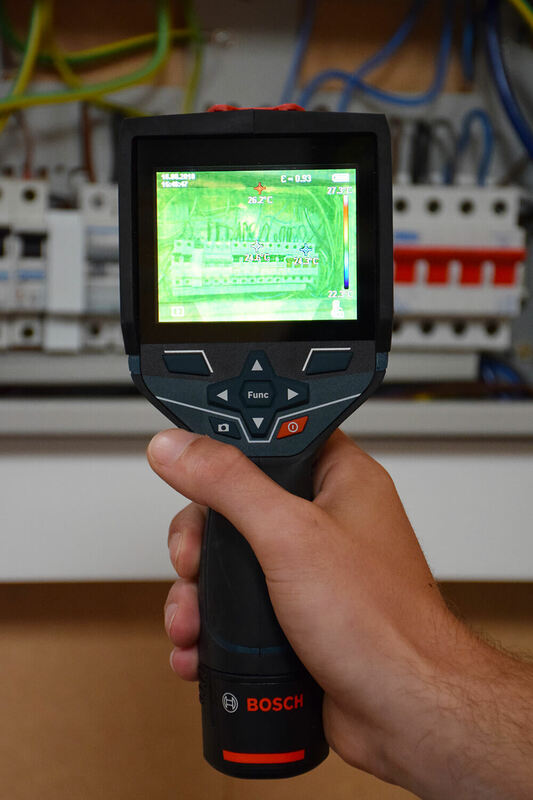 4.5 stars – for domestic electricians – a thermal camera wouldn’t be as useful for day to day domestic electrical work, however you may find that you want to start off with a phone attachment to see how often you would be using it, and then later on upgrading to a handheld camera like the Bosch GTC 400C. 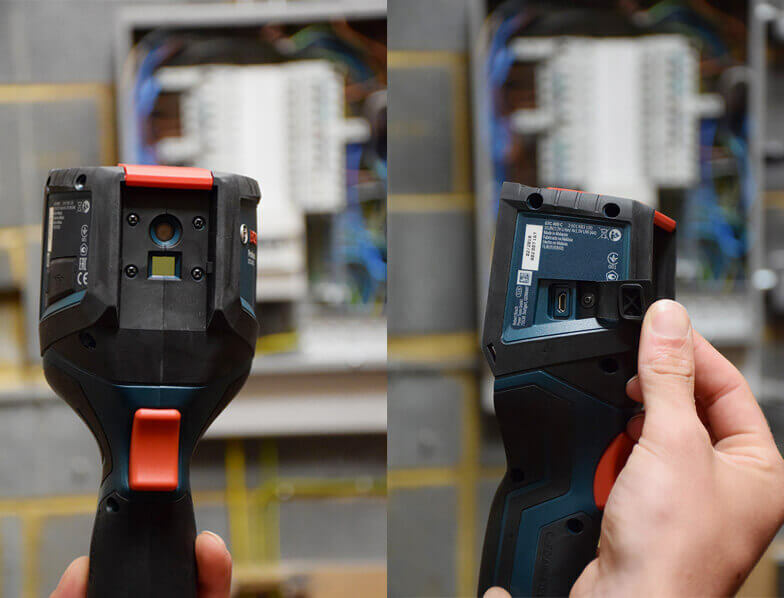 5 stars – for commercial electricians – its robust build means it’s brilliant for on site; where a phone attachment could easily break and get damaged, the Bosch handheld thermal camera would stand the test of time. 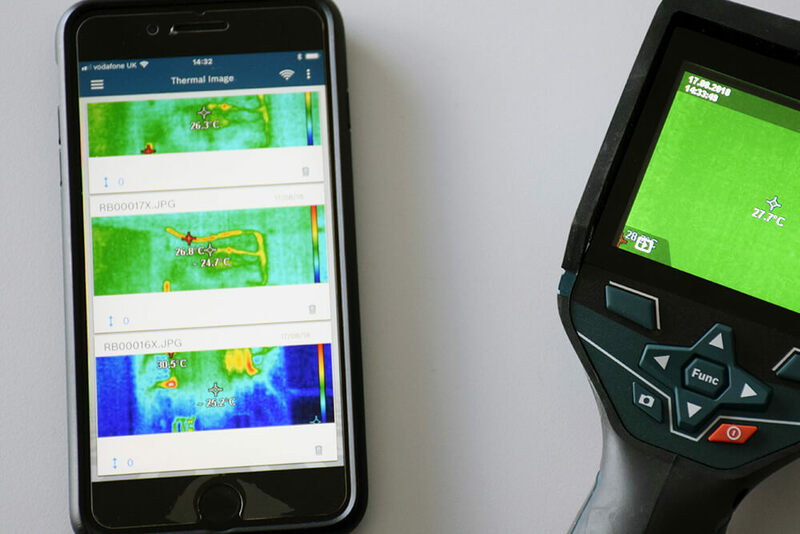 Intuitive design and very easy to use, with the menu offering a wide variety of options to tailor your thermal images to you and your customer. Brilliant battery life, but also good to have the option between a 12v battery pack and AA batteries. Robust build and design that prevents the camera from easily being damaged. Price is good for a handheld, quality thermal camera. 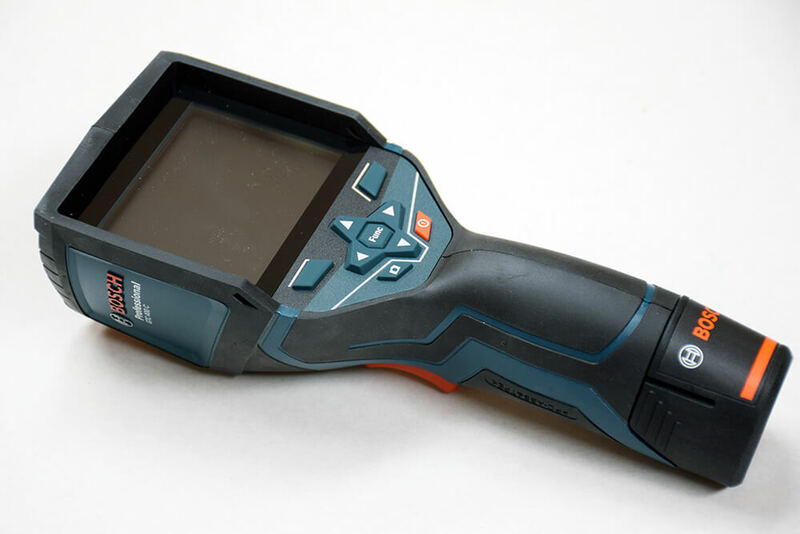 Price could also seem expensive for some domestic installers, who may be only just getting into thermographic surveying. 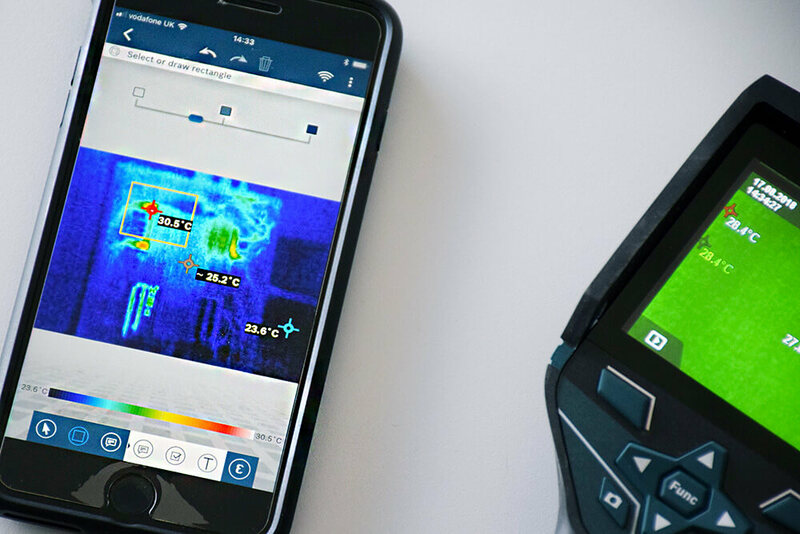 Thank you Bosch for sending us the thermal camera to review! Find out where you can get yours here.